Investigative efforts by the Fairfield Police Department led to the arrest of burglary suspect in Sacramento. On October 19, Fairfield Police received a call regarding a vehicle burglary in the 2100 block of Arabian Drive. During the course of the investigation, detectives from the Investigations Bureau identified 28-year old Kyle Manly (pictured above) of Sacramento as the suspect in the burglary. While investigating this crime, Manly was also linked to another vehicle burglary that occurred on October 22, on the 3000 block of Orchard View Court in Fairfield. Based on the investigation, detectives from the Fairfield Police Department’s Investigations Bureau obtained an arrest warrant for Manly and a search warrant for a residence in Sacramento. On Friday, November 11, detectives from the Investigations Bureau, the Special Operations Team, and the Sacramento Sheriff’s Department executed a search warrant at a home in the 8600 block of Beauxart Circle in Sacramento. 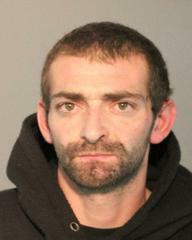 The warrant resulted in the arrest of Kyle Manly and the recovery of stolen property from the Fairfield burglary case. Manly was booked into the Sacramento County Jail for his outstanding warrants for Burglary and Probation Violation. No Comment to " Fairfield Police Arrest Suspect in Sacramento on Vehicle Burglary Charges "